I have recently given a lecture at the symposium organized by the IASDR – “International Association of Societies of Design Research” 2009* – a research-oriented conference presenting the work of a large number of researchers and universities from all over the world. Many vibrant debates took place and much knowledge was produced during this wide-scoped event. However I was puzzled by such a profusion of information about “research” and “design”, two terms many of us are striving to bring closer. In doing so we must be wary not to bite our own tail like business schools, who call “marketing research” quantitative or qualitative studies often limited to statistic charts interpreted in a not-so-scientific manner that lacks the method and depth of sociological research. Why naming “marketing research” activities that are no more and no less than the very practice of “marketing”? Why naming “design research” all reflections about creation and innovation? Can design be recognized as a full-fledged scientific discipline? Design is but an emerging discipline that is not very visible yet in the field of research. Some take advantage of this state of things to engage in studies pertaining to sociology, psychology, educational theory or hard sciences and claim they are doing “design research.” To me this working method is irrelevant and will not help design be accepted as a research discipline. Along the same line using the term “design research” to refer to projects carried out by professionals does not seem very relevant to me either. The central issue of this debate is the very nature of design. Can design, as a practice, really be defined as a science? The criteria to answer this question have not been decided upon yet. And it harms the image of “design research” to rank behind this label initiatives stemming from other disciplines, innovation-oriented initiatives, or new production processes applied to products developed according to the usual methods. We must be cautious here. Otherwise we run the risk of blurring the message conveyed by a young discipline – design – still in the process of defining its very identity and of proving its legitimacy on the academic level. Doing “debased” sociology, or debased psychology to try and codify “design-induced emotions” is not a serious way of tackling the issue. We must aim at centering research on a specific unique field based on a language of representation and on an interface linking all the knowledge produced by human sciences or hard sciences with the social and economical issues ruling the world we live in. Design is a language and an interface that brings human beings, ideas and knowledge together to shape a better world for tomorrow. If we want to promote design as a science we must beware not to mix everything up just because design is all over the place and because conducting activities involving reflection makes one feel important. 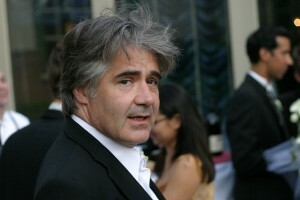 Christian Guellerin, Managing Director of L’École de design.